Buying a garage door is a big investment, so you want to pick the right one! Here’s everything you need to know about choosing the best garage door for you. Garage doors don’t have to be an eyesore! For each individual house, there is a unique garage door that was made for it. You want to choose a door that will complement your home. Shopping around for any home improvement product may be a hassle. But it doesn’t have to be! 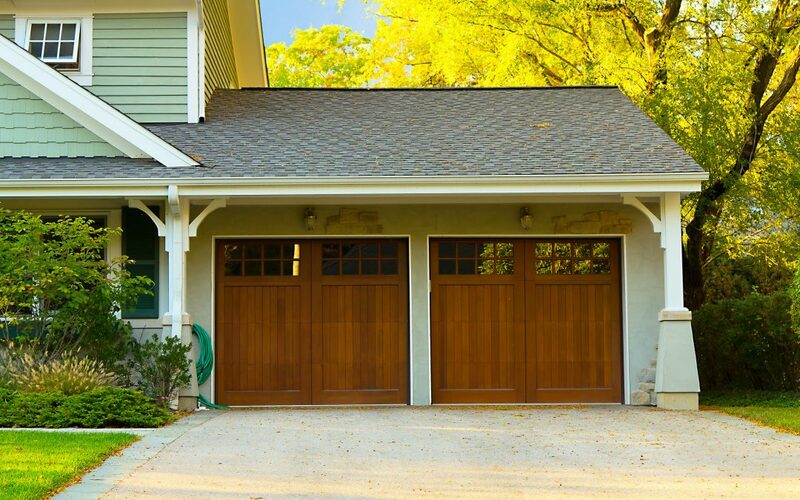 Finding a new garage door for your home should be a fun and exciting time! We’re here to make your shopping experience a little easier. Keep reading to find out how to select the best garage door for your home! If you have a garage, then you know that the garage door takes up a big portion of your home’s exterior. The style of your door should coexist nicely with the exterior style of your home. Look for doors that have the same characteristics as your home. For example, a modern house should have a modern styled door with clean-cut lines. And choose a color that will contrast well. The material of your garage door should also fit into the style of your home. But more importantly, it should be a material that works best for you. Aluminum doors come in many styles, colors, and designs. There is little maintenance required and they’re rust-proof. Plus, they’re lightweight and easy to operate. Steel doors come in many styles, colors, and finishes. They’re a more durable option. Wood doors can be custom designed. They give your home a more natural feel. Fiberglass doors come in many styles and designs. They’re another more durable choice. If you are someone who uses the garage as the main entry point of the home, then you should consider an insulated garage door. Insulated doors keep the energy cost of your home lower. Because the garage is such a large opening to your home, it’s more efficient to have an insulated door! It also makes the garage more comfortable in the winter or summer time. And it shuts noise in or out! You open and close your garage door multiple times a day. You need a door that is practical for your daily routine. Most swinging doors open outward. Others swing right to left. Overhead sectional doors roll up and down overhead. They work best with automatic door openers. They are more convenient because they don’t get in the way. Shopping for the right garage door is simple when you know what you want and need! Learn what style fits your home best and compliment it’s exterior. Find the material and type of door that’s the most convenient for you. Be in the know before shopping around and your experience will be much more enjoyable! Make sure to check out our blog to learn more about inspections, repairs, and replacements of garage doors.